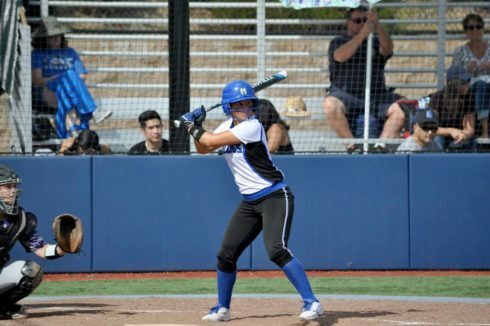 The league-leading College of San Mateo softball and baseball teams extended their win streaks this week. The state top-ranked CSM softball team has clinched at least a tie for the Coast North League title. The Bulldogs will play Ohlone at CSM on April 24 to determine the league champion. CSM currently leads Ohlone by 1 ½ games in the Coast North. San Mateo will host Santa Rosa in a non-league game Thursday (3 p.m.) and play a non-league crossover at Cabrillo on Saturday (noon). This entry was posted on Wednesday, April 25th, 2018 and is filed under Athletics, Baseball, Headline, Softball. You can follow any responses to this entry through RSS 2.0. You can leave a response, or trackback from your own site.